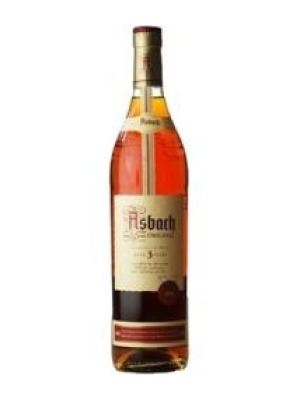 Asbach Uralt 3 Year Old Brandy is a popular Brandy and Cognac available from DrinkSupermarket.com in 70cl to buy online. Visit DrinkSupermarket.com for the best price for 70cl of Asbach Uralt 3 Year Old Brandy or compare prices on our other Brandy and Cognac products. A German Brandy blended from 25 different wine distillations, then aged for up to 3 years in limousin oak casks. With a deep golden colour, cognac character but fruitier. Grape and oak aroma. Clean, crisp with a rather astringent flavour. Where to buy Asbach Uralt 3 Year Old Brandy ? Asbach Uralt 3 Year Old Brandy Supermarkets & Stockists. You can buy Asbach Uralt 3 Year Old Brandy online in most retailers and find it in the Brandy and Cognac aisle in supermarkets but we found the best deals online for Asbach Uralt 3 Year Old Brandy in DrinkSupermarket.com, Amazon.co.uk, and others. Compare the current price of Asbach Uralt 3 Year Old Brandy in 70cl size in the table of offers below. Simply click on the button to order Asbach Uralt 3 Year Old Brandy online now.